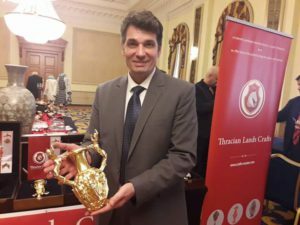 The Thracian gold treasure discovered near the town of Panagyurishte (Bulgaria) presents the magnificent work of some master goldsmiths from the Early Hellenistic Age that combine ancient Greek motives and techniques with Thracian and Achaemenid ones. 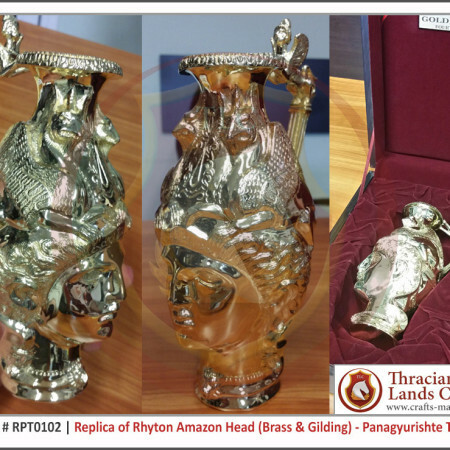 It is supposed that the nine vessels, which had been made in the city of Lampsakos in Asia Minor, belonged to the famous Odrysian ruler Seuthes III ( around 330 BC to 302 BC or 297 BC). The caching of items of noble metals and coins was part of the ritual functions of the ruler. Deposited in the earth, they become sacred and marked the basic rituals of cosmogony related to the new birth of the king and his sacred marriage to the Great Mother Goddess. 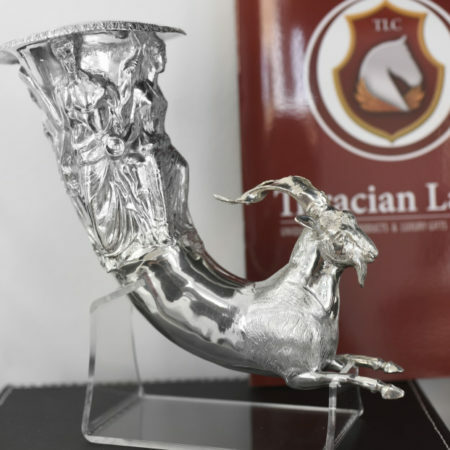 The discovery of the Panagyurishte Thracian treasure was accidental and was accompanied by all those strange and curious circumstances which mark most of the unique discoveries in archeology. it all happened on December 8th,1949. Just an ordinary frosty week day for the ceramic factory “Merul” located in the southeastern suburbs of a completely unknown then, but now thriving and popular in the whole civilized world, small town of Panagyurishte (Bulgaria).The three Deykovi brothers Pavel, Petko and Mihail were digging clay for bricks in the factory’s yard. Until that moment fortune had not been very generous to them. Some unknown prophecy, however, made each of them have a daughter named Zlatka (meaning in Bulgarian “made of gold”). Without suspecting that on that very day their names would enter the Bulgarian and world archeology, they cleaned with curiosity the soil-stuck yellowish objects who suddenly appeared in their hands. 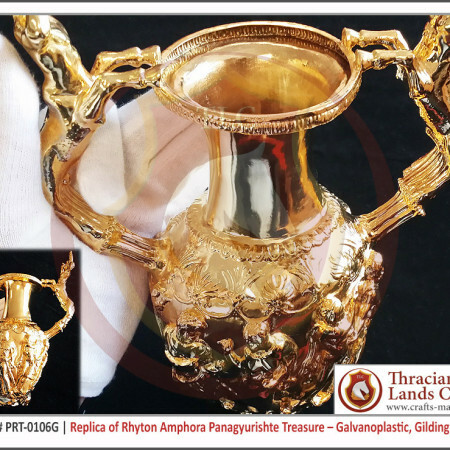 This is how this unique and magnificent gold Thracian treasure was discovered. 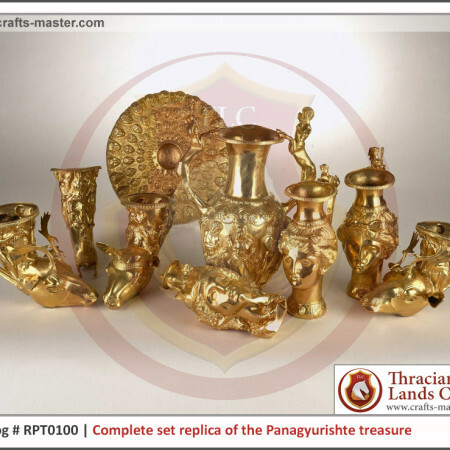 The Panagyurishte Gold treasure was estimated to be from the late 4th and early 3rd century BC. 1. 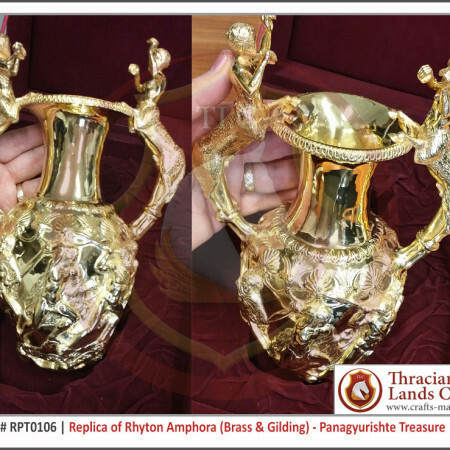 Amphora-rhyton, gold, late 4th – early 3rd century BC. 2. Phiale, gold, late 4th – early 3rd century BC. 3. 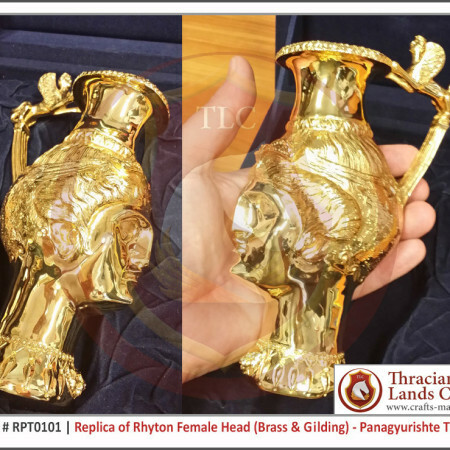 Rhyton in the shape of an Amazon woman’s head wearing a helmet, gold, late 4th – early 3rd century BC. 4. 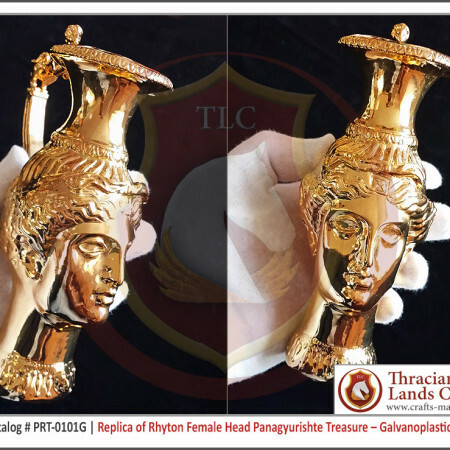 Rhyton in the shape of woman’s head, gold, late 4th – early 3rd century BC. 5. Rhyton in the shape of woman’s head (with missing wings of the sphinx at the rhyton’s handle), gold, late 4th – early 3rd century BC. 6. 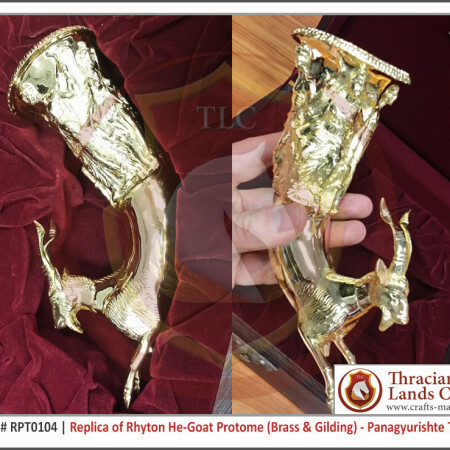 Rhyton with a protome of a he-goat, gold, late 4th – early 3rd century BC. 7. Rhyton with a head of an antler (stag), gold, late 4th – early 3rd century BC. 8. 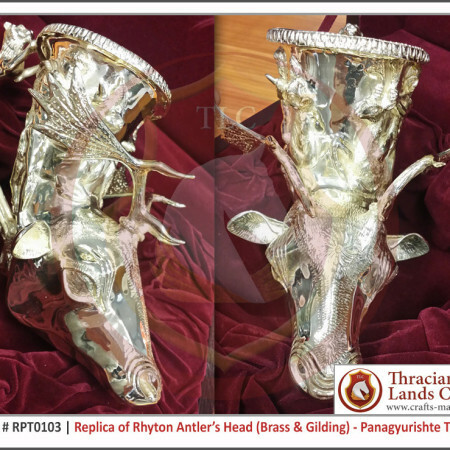 Rhyton with a head of an antler (stag), gold, late 4th – early 3rd century BC. 9. 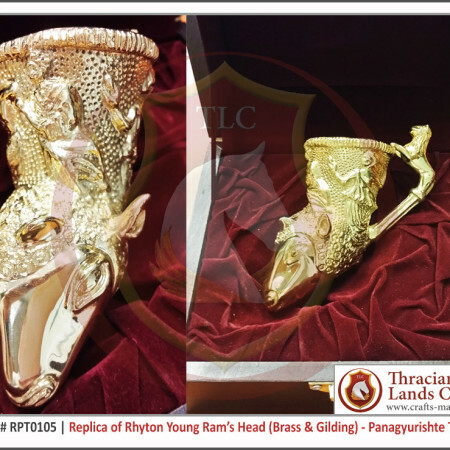 Rhyton with a head of a young ram, gold, late 4th – early 3rd century BC. 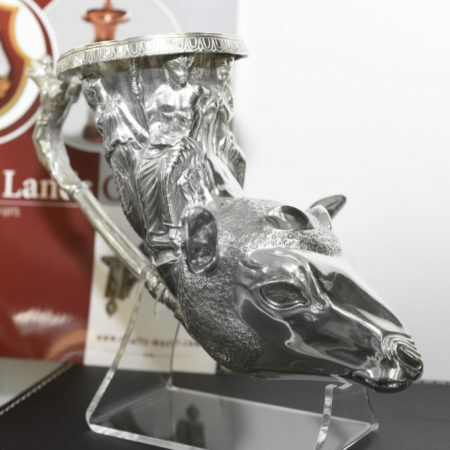 It seems that the set have been used for drinking of wine in a religious, ceremonial or even everyday surrounding. 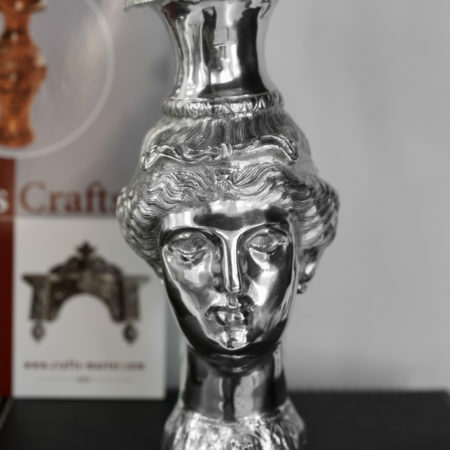 There is also the opinion that it was designed for ritual purifying of liquid, wine most probably, by pouring it from one vessel into another. 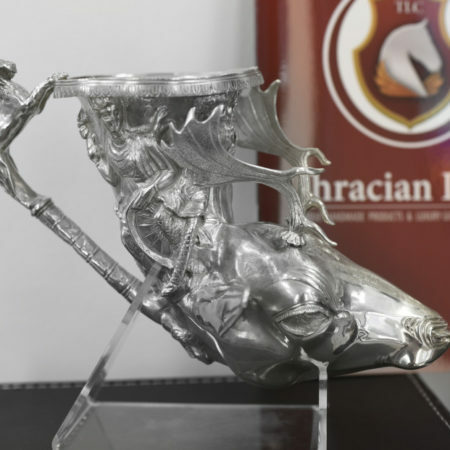 Thracian treasures were not simply treasures, but were also offerings to the gods of the earth and the sun, and were buried in two parts. 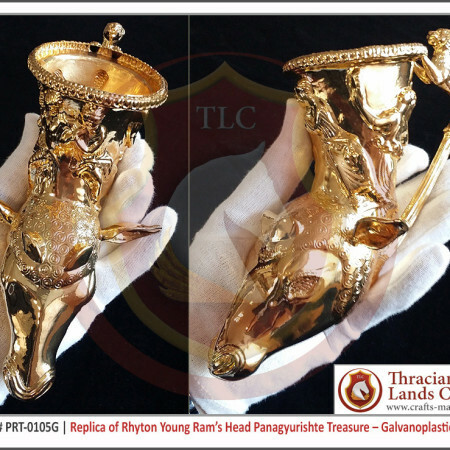 Therefore, it is believed that the Panagyurishte Thracian Gold treasure set is not a full one. The rest of the items are yet to be discovered. 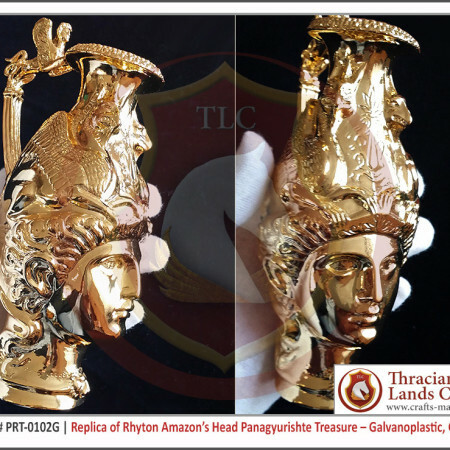 We provide high-class quality replica of the Panagyurishte Thracian Gold treasure, which is slightly different from the original. 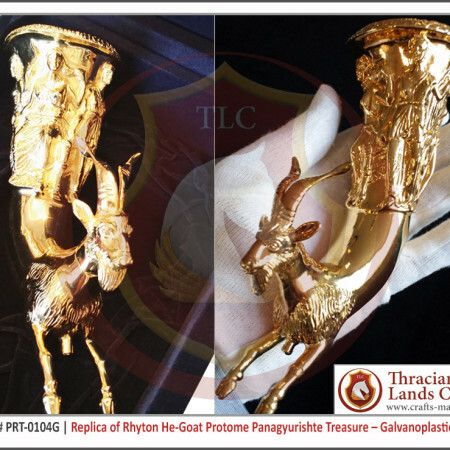 Per the Bulgarian laws there must be at least 10% difference between the replica and the original gold treasure. 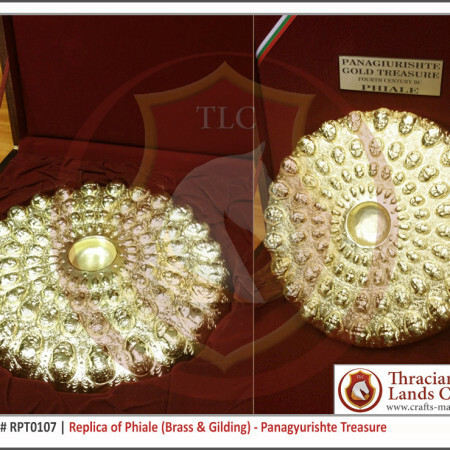 You can order the entire replica set or separate items of it by contacting us via email or phone. 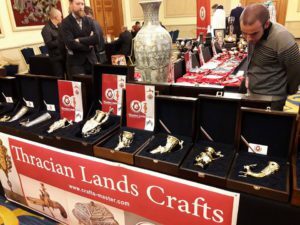 We offer the replica items in a luxury box. 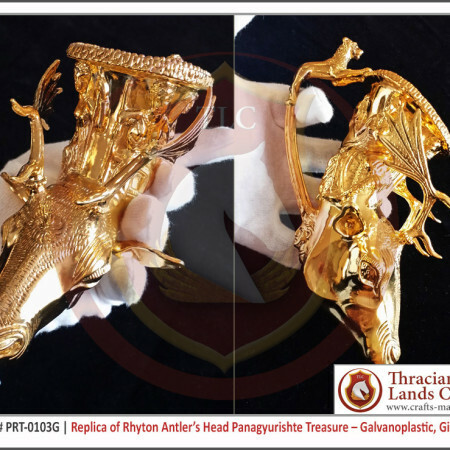 The replica of the Panagyurishte treasure is a unique craft-work produced only in Bulgaria. Each item of the replica set comes with a mandatory certificate, issued by the Bulgarian National Historical Museum (Sofia, Bulgaria).